This Trio includes the Smoked, Cashew Truffle and Ethiopian Spiced Cheases. A limited time only offer, of Tyne Chease's award-winning vegan handmade cheeses. 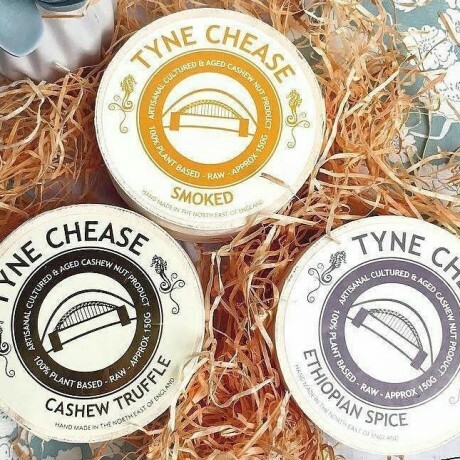 Tyne Chease make authentically cultured and matured vegan cheese alternatives worthy of the finest wines and perfect for a classic cheaseboard, accompanied by crackers, grapes and chutneys. Their cashew nut cheeses are the perfect alternative for those who follow a plant-based diet, are lactose intolerant or just want to cut down on cholesterol. The kitchen handles mustard seeds and sesame seeds. This is my second order, again got the tasty selection box and this time tried the truffle cashew cheese- it is addictive!will be buying again.Thanks. 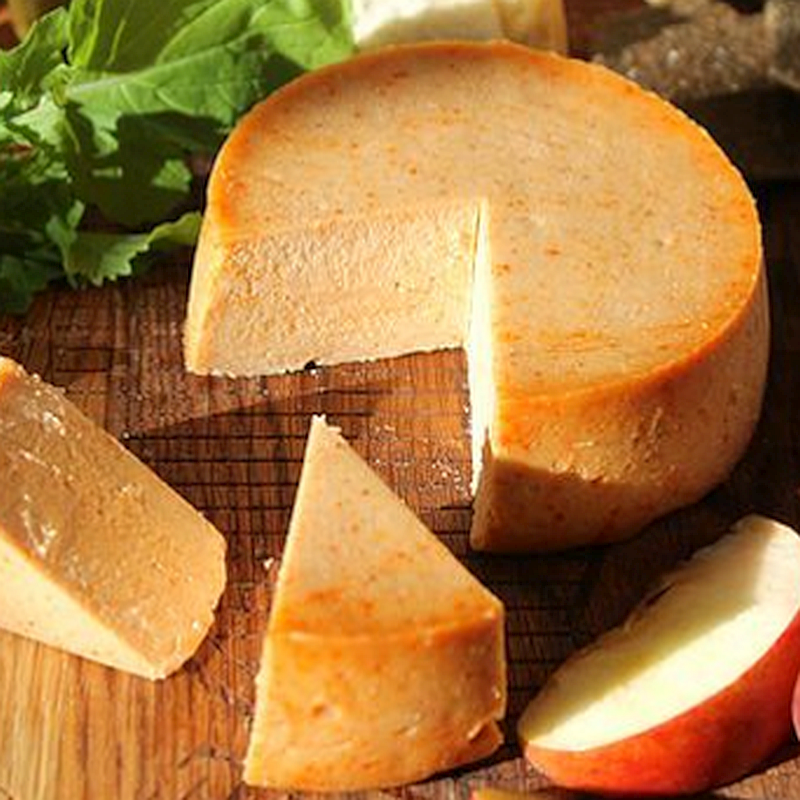 Amazing artisan vegan chease! Very tasty. perfect for a vegan chease n wine night. Absolutely gorgeous! We had the smoked cheese and it is delicious..Can't wait to try your other flavours!! Lovely presentation, good size samples, enough to decide whether to your taste or not. Not tried all yet, but so far I love those I have and will definitely be ordering larger quantities. 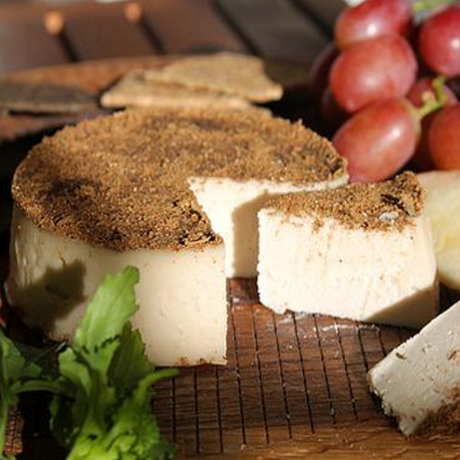 Fantastic trio of vegan cashew nut based 'cheeses'. I loved my selection box of cheeses. I loved my selection box of cheeses. I have struggled to find a vegan cheese that I actually like the taste off. These cheeses are great to spread on crackers and with so many lovely flavours I am spoilt for choice. 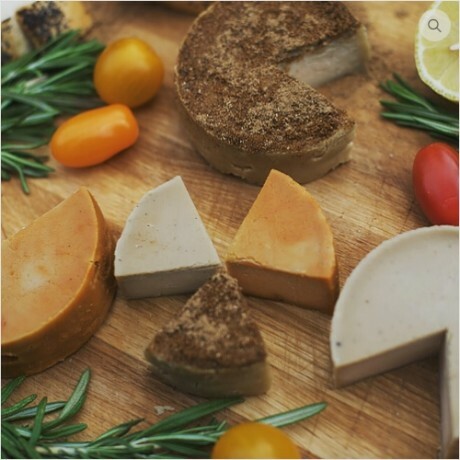 Wonderful choice of flavours, definitely some of the best tasting vegan cheeses around, my only issue is the size of the pieces within the selection box. When each piece is the size of a 50p piece it’s hard to really make anything of them, I don’t think the size is that clear when purchasing either. Perhaps if these were marketed as more of a sampler it would be more clear as to what is actually arriving. This product is dispatched by Tyne Chease. This item has a shipping weight of 200g.